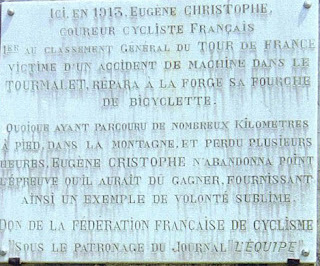 A wonderful read about one the the most significant stories of rider perseverance in the history of the Tour de France. 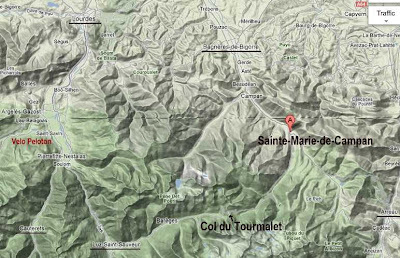 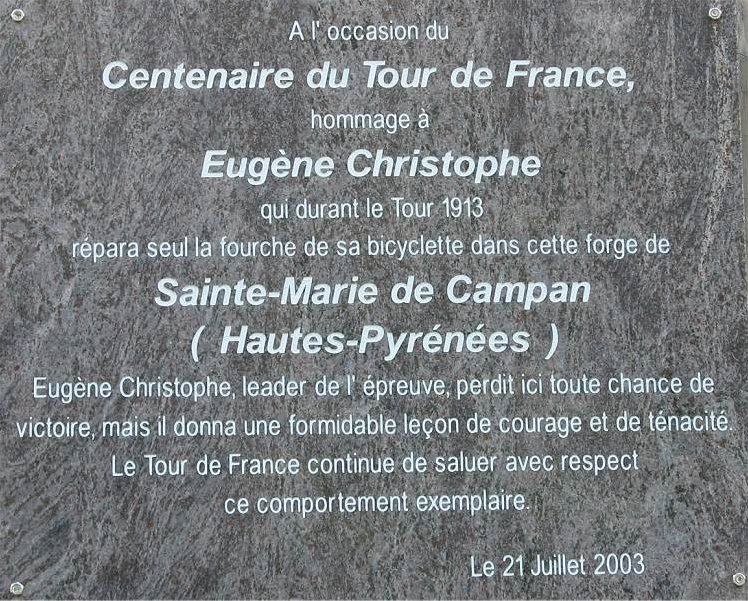 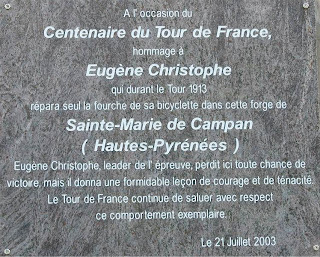 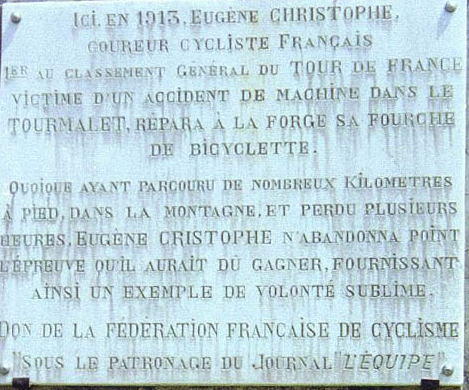 This well-written story of Eugene Christophe and his broken fork on the Col du Tourmalet during the 11th Tour de France in 1913 delivers the real story with details you might not have read before. 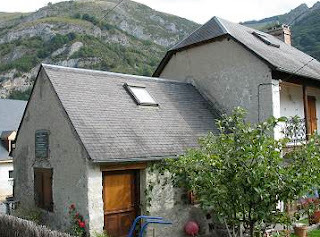 The building that housed the famous forge still exists (repaired and with a new roof) and is a national historic site in Sainte-Marie-de-Campan in the Pyrenees. It is marked with a new commemorative plaque placed in 2003.
were the bellows stoked inside this small workshop?